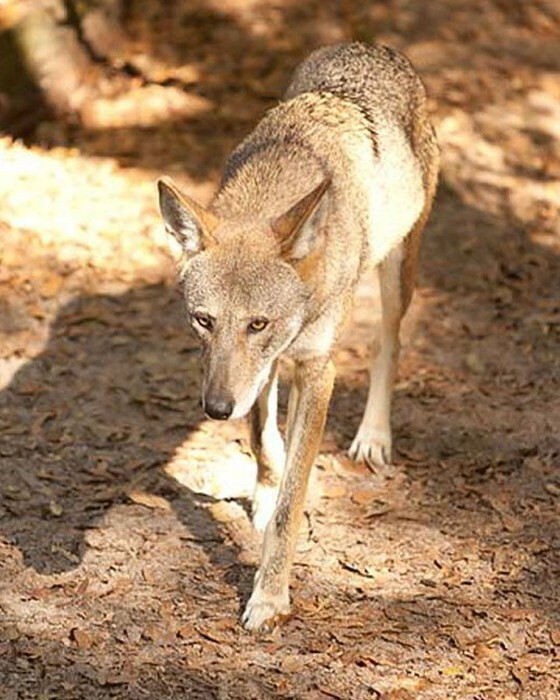 Threats to the red wolf include habitat loss due to human development, negative attitudes that hinder restoration, severe weather, deaths by motor vehicles, and illegal killings. Interbreeding between coyote and red wolf populations has remained a constant threat to the recovery of this imperiled species. 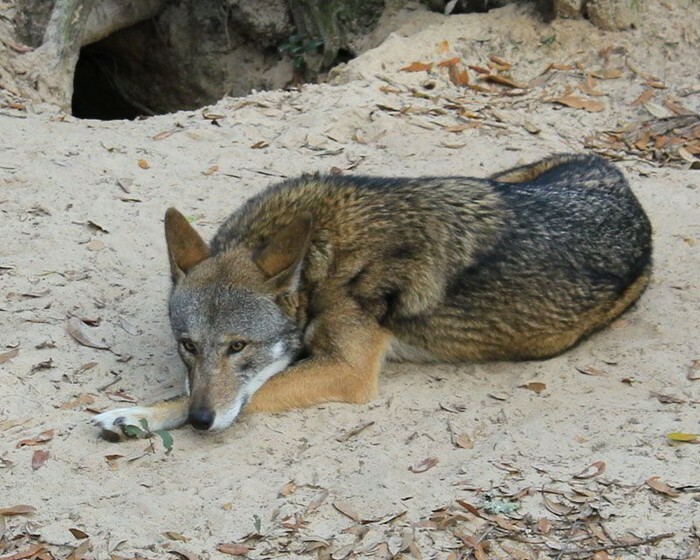 Given that the entire current range of the red wolf in the wild is located in a small coastal area at roughly three feet in elevation, the impacts of climate change – including storm surges and sea level rise – loom large as a threat to their future. The red wolf is considered a top predator and a keystone species. A top predator is one that is not eaten by anything else in the ecosystem, which means they have control over the prey populations in the ecosystem. A keystone species has a greater impact on the ecosystem than the number of individuals in that area. For both these reasons, the red wolf plays a very important part in the environment and should be preserved. 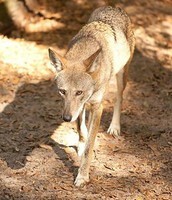 But due to fears of many humans in red wolf areas, this species has had a very hard history.